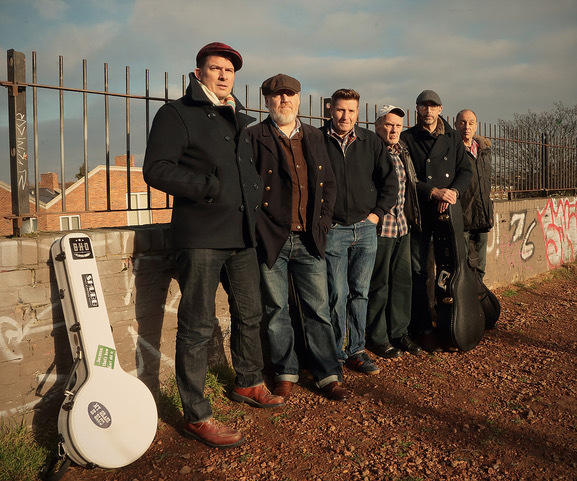 Foghorn Leghorn are a disparate bunch of oldish / youngish blokes who share a love and great fondness for each other, music, humour, beer and bluegrass – not necessarily in that order. We’ve been together for over 20 years. A gig with us is a bit like being in our family front room and seeing what develops each evening. Every 2nd Thursday of the month at The Betsey Trotwood in Farringdon, Foghorn host an acoustic night of bluegrass / lovegrass / Americana with special guests, bands, musicians and the finest pickers in the land. Totally unplugged you’ll find us harmonising in an intimate and rowdy night of song and music in London’s premier candlelit cutch. A beautiful and string thing with banjo, mandolin, dobro, upright bass, guitar and fiddle plus sweet and sour Appalachian/North London harmonies. We like gossip, whiskey and taxis – occasional buses and chips – and jokes ranging in quality, memory and uncertainty. Tim Kent banjo, Eamonn Flynn mandolin, Uncle Kev O’Neill dobro, Del Brooks guitar, Chris Clarke double bass, Paul Fay fiddle. We all sing.